JD Spicer Zeb Solicitors were established in 1977 and have grown from 2 to 70 employees across five offices within the UK. Philip Spicer, Managing Partner of JD Spicer Zeb solicitors talks about his experiences with DPS Software and the long relationship both companies have had with each other. Originally focusing on Crime and Criminal Billing, JD Spicer Zeb has flourished with the aid of DPS’s expansion to have one system implemented throughout the practise for all their requirements. Releasing it would be too costly and time consuming to purchase a new server, DPS Software began hosting JD Spicer Zeb thus ‘freeing up space’and managing the additional IT requires. Mr Spicer explains that this full-service approach allows the firm to not need an IT department and the extra resources needed to manage their systems internally. He then goes on to say ‘I would be more than happy to recommend (DPS) to other companies’. 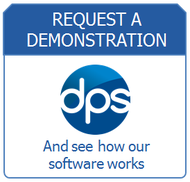 Learn more about DPS Cloud by downloading our brochure.